Yajun, by designer Yajun Melody Lin, presented their latest collection to Spring Studios. Lin defines her brand as a combination of Ya – which means elegant and feminine and Yun – meaning gentleman. 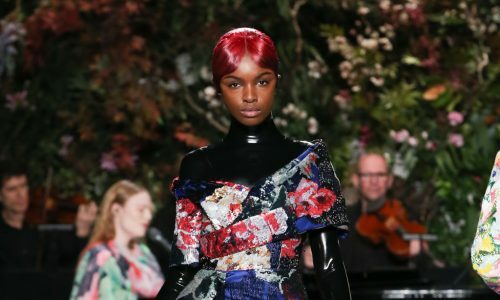 For Lin, it’s about striking a balance between the masculine and feminine to create unique clothing for her fashion-forward clients. 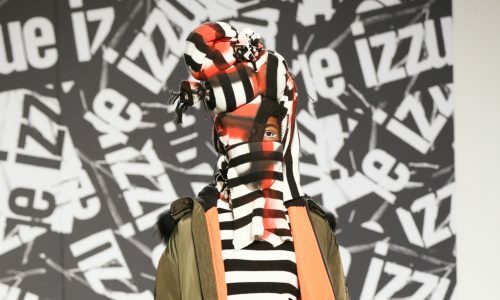 The collection had a utilitarian point of view and many of the clothes appeared to be unisex, which is in line with the brand’s philosophy of creating interesting clothes with a rebellious streak. 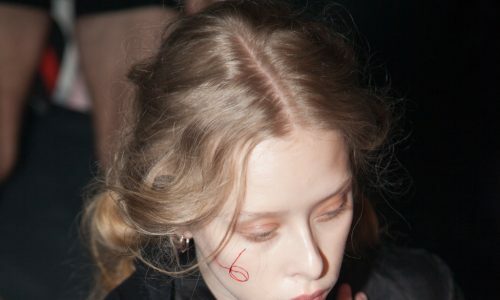 There were both male and female models wearing the clothing and further blurring the lines between menswear and womenswear. 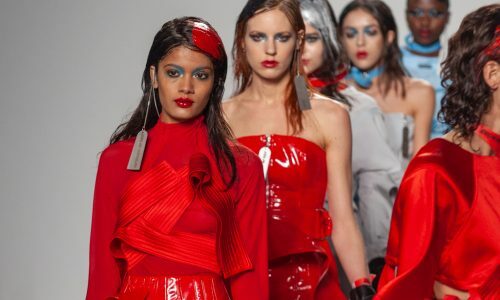 Yanjun doubled down on this concept through their styling, as well showing women wearing more traditionally masculine styles while some of the men wore skirts, and closing the show with the most dramatic ball gown look worn by a male model. Yajun played with proportions, showing oversized jackets and shirts with long sleeves as well as baggy pants that could be cinched at intervals with drawstrings. 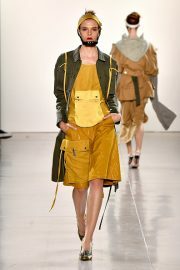 There was also a focus on oversized, functional pockets placed boldly at the front of the garments. The collection was designed in a neutral colour palette of black, white and beige. The only patterns were a mix of subdued plaids that created a subtle contrast and were often shown mixed together for a greater visual impact. Their use gave the collection a much richer feel and kept the overall feel from being too stark. 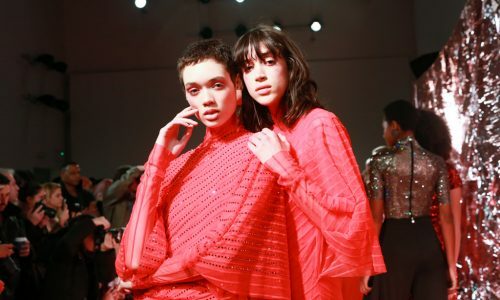 Lin’s vision for creating garments that break boundaries was clearly articulated on the runway while still showing clothing that was wearable. 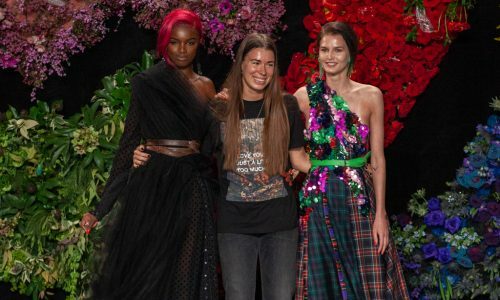 It will be interesting to see how this young designer evolves and continues to grow her distinct point of view in coming seasons. For further information about Yajun visit here.